This entry was posted on November 3, 2012 by kdawikstrom. 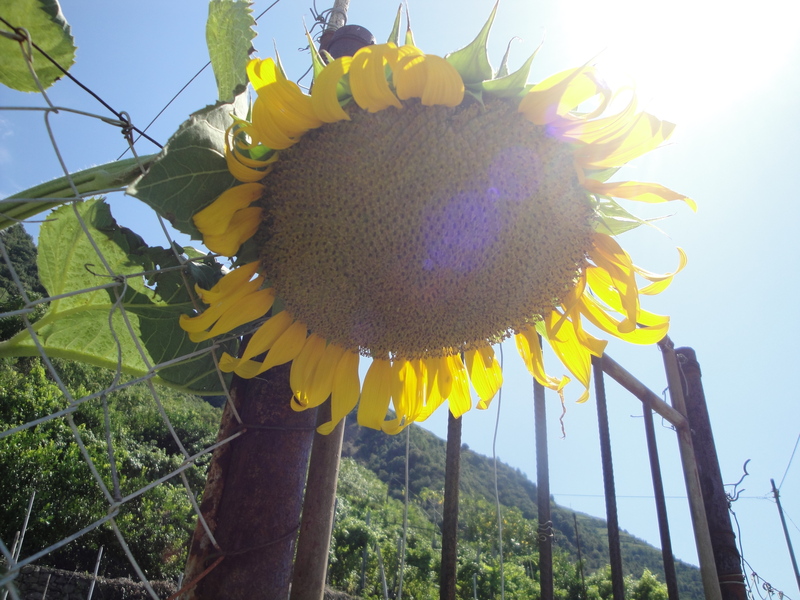 It was filed under Nature, Travel, Travel Theme and was tagged with 5 terre, cinque terre, Corniglia, Genoa, Italia, Italian Riviera, Italy, Liguria, Manarola, Monterosso al Mare, postaday, Riomaggiore, Sun flower, Travel Theme, Vernazza. A sunny and bright flower, pretty. Great choice for bright, this huge sunflower!